Make "History" - "YourStory" - "OurStory"
WHAT's IT REALLY LIKE TO BE A STAR? The real-life Miley Cyrus really does have the best of both worlds. Whether she's having a blast playing Hannah Montana/Miley Stewart on her hit show, belting our songs on her record-breaking Best of Both Worlds tour and 3-D concert movie, or even walking the red carpet at the Oscars, Miley makes being famous look fun and easy. The limo's out front to take you behind the scenes of Miley's world. Hang with Miley and get to know what it's like to perform with the Jonas Brothers, Emily Osment (Lilly), Mitchel Musso (Oliver), Jason Earles (Jackson), Cody linley (Jake)?and even her dad, Billy Ray Cyrus! 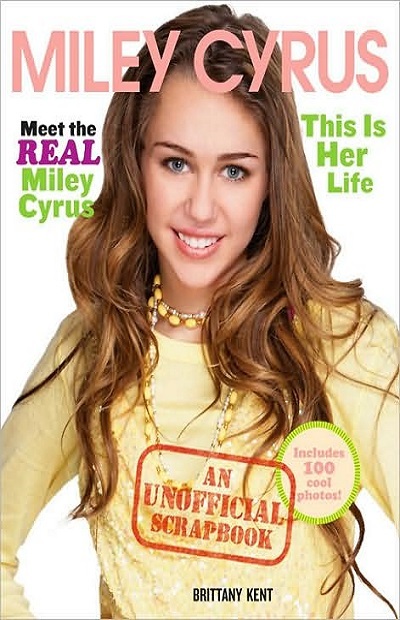 Find out how Miley grew up and how she learned to sing and act. Discover her favorite things, what matters most to her in her heart, and what her dreams are for the future. Maybe 'nobody's perfect,' but Miley sure comes close. Come on in, and spend a fun-filled time in Miley's rockin? world! Copyright © 2019 Mypersory.com - All rights reserved.